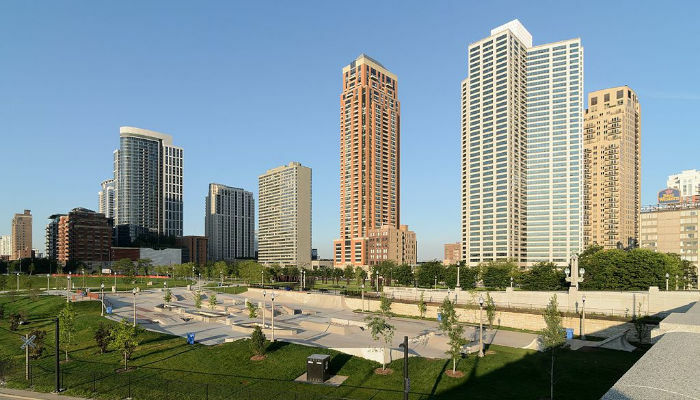 While the South Loop is a large part of the Near South Side MLS neighborhood, residents tend to think of it as its own area with a distinct feel and a unique set of amazing cultural and historical offerings. Among those offerings? The South Loop's eastern edge includes Museum Campus, a sprawling, gorgeous section of Grant Park that includes the Adler Planetarium, the Field Museum, and Shedd Aquarium, along with lots of green space and stunning views of Lake Michigan. Want even more greenery? The South Loop also boasts easy access to Northerly Island, an undeveloped peninsula that is a welcome refuge for city-dwelling nature lovers (and fans of outdoor concerts). As for Chicago history, the southern edge of South Loop includes legendary Soldier Field, home of the Bears; the area also includes some of Printer's Row - once the central hub of the Midwest's publishing industry - and the Prairie Avenue "Millionaire's Row," the home to many of Chicago's 19th century elites. Plus, this area is home to facilities for some of Chicago's institutions of higher learning, like Columbia College Chicago and Roosevelt University. Choose Chicago's "Guide to the South Loop"
Ready to give the area a look for yourself? After remaining steady around $360K for most of 2016, median condo price in the South Loop rose fairly sharply in 2017 and the early months of 2018, during which prices reached a high around $380K for the first time in more than two years. Since then, median price has leveled off somewhat, and currently sits around $375K. In all? Median sales price for this area has fallen within a $10K window since mid-2017, indicating that this is a market that is fairly steady, despite some occasional peaks and valleys. Currently, inventory in South Loop sits between three and four months, making it a seller's market that is still fairly balanced for buyers. This graph suggests that there will likely be steady and consistent - albeit slow - growth in sale prices for South Loop condos in the months ahead. The average market time for a South Loop condo saw a high around 80 days as of mid-2016. Over the course of 2017, wait times leveled off pretty significantly, reaching a low near 60 days. At the time of this writing, spring 2019, wait times have crept upward once again, and currently sit between 70 and 75 days, or just more than two months. We don't have much reliable data on South Loop's single family home market that's worth reporting, because there are so few single family homes in the South Loop area. As you can see in the graph below, fewer than a dozen single family homes went to closing in 2018. With this little information and this small of a market, there is just too little data to report. One thing to note? Pay attention to the number of sales in 2018, compared to previous years. This metric suggests that South Loop is a market that is getting serious attention from homebuyers, when inventory does become available. Ready To Purchase a South Loop Home? When you're ready to live in "Chicago's Front Yard," the Real Group team would love to help you find a new home in the South Loop area! To begin the process and explore the community even more, feel free to drop us a line!